Full-color illustrations and an easy-to-read format bring more than 100 favorite Bible stories to life! Easy-to-read captions with each illustration, My Reading Toolbox helps children remember people, places, words, and topics from the Bible. Preschoolers and new readers can read their favorite stories with an adult or on their own, while they learn the Bible and build their reading skills. A recommended gift for First Communion. 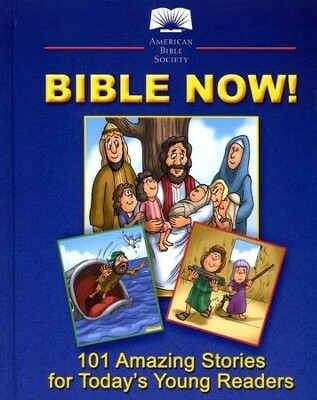 Ideal for readers ages 4 to 8, "Bible Now!" is filled with stories illustrated in full color and easy-to-read captions. 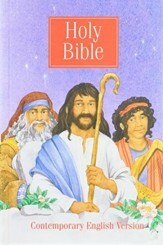 Reading "toolboxes" includes tools to help children remember important people, places, words, and topics from the Bible. Maps and illustrated time lines. Text is adapted from the Contemporary English Version. I'm the author/artist and I want to review Bible Now!! : 101 Amazing Stories For Today's Young Readers.